Come and get away from the hustle and bustle of the city life with its traffic and on-going construction!!! 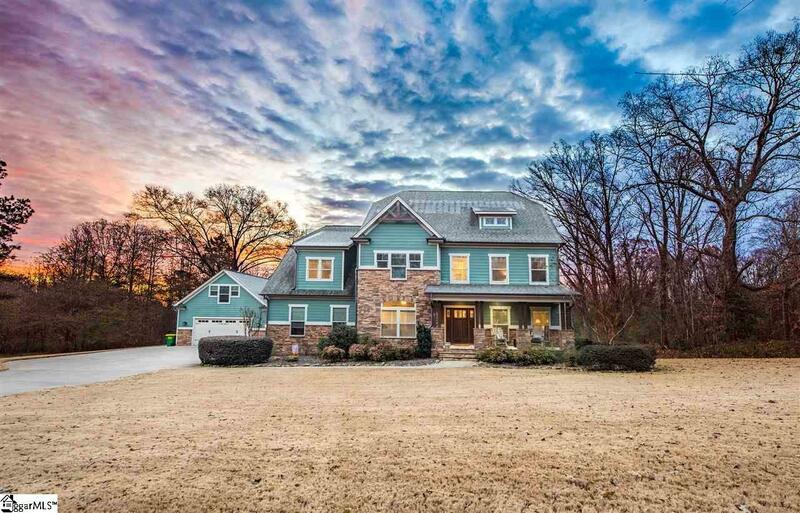 This beautiful stone/hardiboard Craftsman home with an attached 3 car garage and an additional 2 car detached garage rests on 22.7 acres. 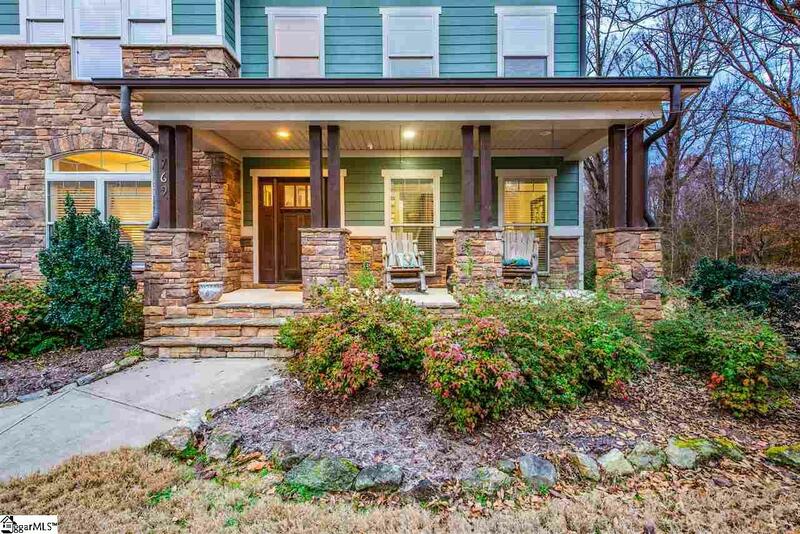 Enter the front door and be greeted by 5 inch hand scraped hardwoods floors that lead you throughout the entire living space on the main level. Enjoy the open kitchen with its granite countertops, large eat in bar area, more than enough cabinet and drawer space along with up-to-date stainless steel appliances (GAS STOVE) that any chef would be proud to call their own! 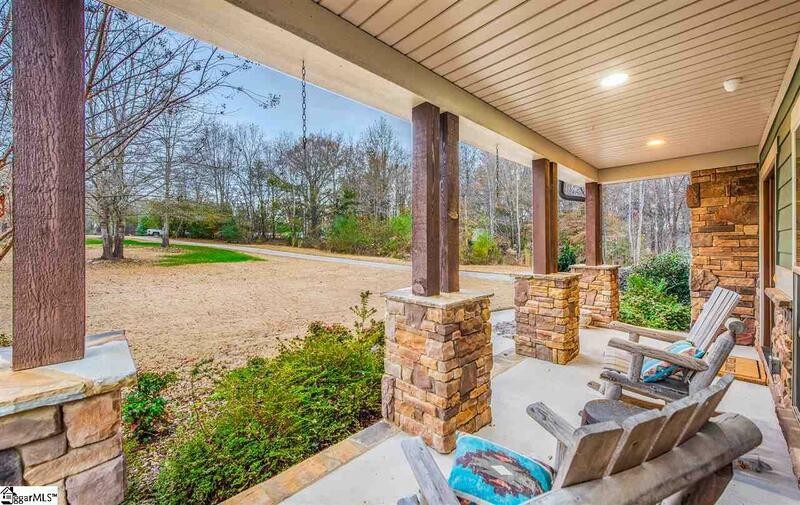 From the kitchen, view your large living room with its beautiful stone fireplace or choose to walk out onto your covered back porch to enjoy the setting sun and the abundant wildlife often seen on the property. The lower level consists of the tucked away guest quarters designed for privacy and discreetness. The upper level offers 5 additional bedrooms including the large master suite! While relaxing in the master suite, enjoy the trey ceiling and the floor to ceiling windows designed to allow natural light to flow throughout the suite. Enjoy the separate sitting area and private balcony as you relax with your favorite beverage. Fall in love with your ceramic tiled master bathroom, his and hers vanities, a soaker tub, and a spacious walk-in ceramic tile shower complete with multiple shower heads to optimize your daily shower experience. 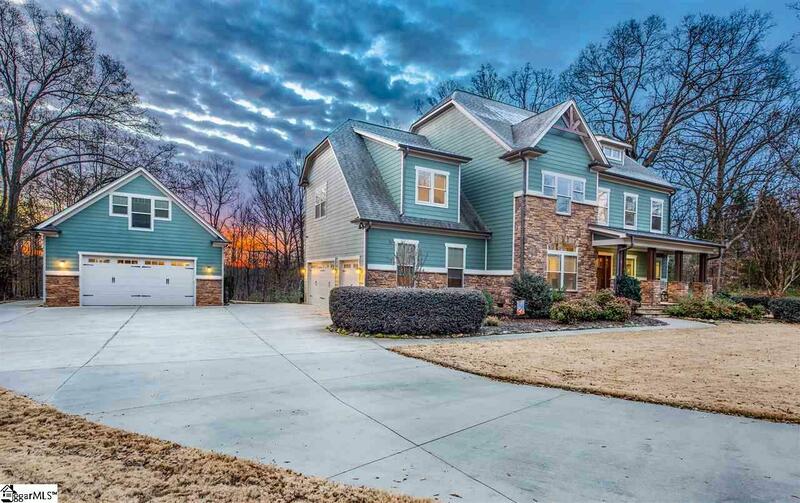 To add to the many desirable features of this home and its picturesque setting is a larger than life bonus room located on the 3rd level of the home. This space is an ideal area for the kids to be creative, for a studio for mom to work on those special projects, or even for a man cave for dad. This home has much to offer in living space. There are limitless possibilities for entertaining guests both inside the home and around the property outside. Get your hiking boots on or start up your four-wheeler and get out and explore the groomed trails winding throughout the property . . . and . . . dont forget to check out the waterfall!